This is my depiction of the Italian Flag. Mixed with red paint is the blood of Roman Zwaschka, a veteran stationed in Italy during WWII. 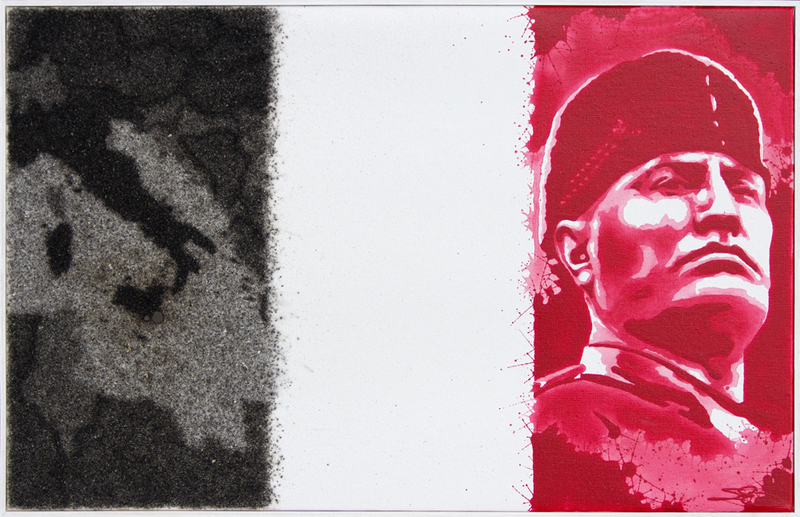 On the right in red, I did a portrait of Benito Mussolini, the Italian dictator during WWII. On the left in gunpowder I burned a map of Italy/the Mediterranean. I burned a hole through the canvas at Sicily, which is where the Allies' advance through the country in WWII began.